The Department of History and Archaeology of the University of Cyprus and the Department of Antiquities are organizing a conference entitled “Salamis of Cyprus, History and Archaeology from the Earliest Times to the End of Antiquity”. The conference will take place in the Main Hall of the University of Cyprus (75 Kallipoleos Ave.) on the 21st to 23rd May 2015. 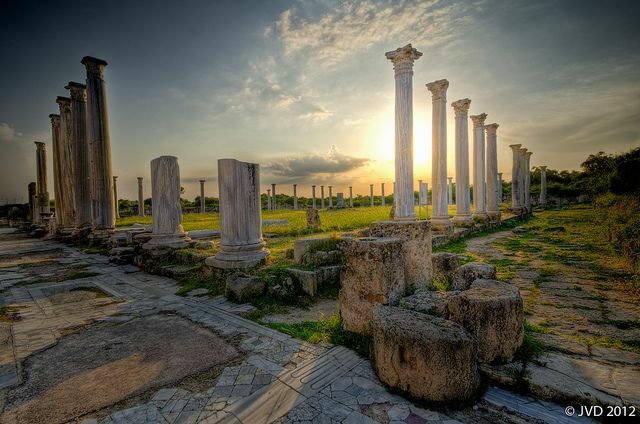 Salamis, with its pivotal setting for encounters and exchanges between the Aegean and the Middle East, has played a key role in the Eastern Mediterranean and the Aegean. This is the perspective under which the participants of this conference will be invited to share their recent research and insights on this part of the history and archaeology of Cyprus. The last time the city of Salamis was the object of a conference was in 1978. The conference took place in Lyon. It has unfortunately not been the topic of extensive research and publications ever since. The objective of the conference is to put Salamis of Cyprus back on the agenda of an international scientific discussion, presenting new evidence and scientific studies, which will address both its history and its archaeology, while bringing again to light the multicultural nature of the ancient history of the island through its most important archaeological site, Ancient Salamis. THE CYPRUS AMERICAN ARCHAEOLOGICAL RESEARCH INSTITUTE (CAARI) in Nicosia, Cyprus, welcomes scholars and students specializing in the archaeology, history, and culture of Cyprus and the eastern Mediterranean. CAARI is located in central Nicosia close to the Cyprus Museum and the Archaeological Research Unit of the University of Cyprus (both with major libraries), as well as the main business and commercial district. In addition to hostel accommodation for a total of twelve residents, the institute has excellent research facilities: a 10,000-volume library, comprehensive map and artifact collections, archival material, and facilities for Internet, scanning, and photography.